A drafty door can be a nuisance for so many reasons. It can seriously rack up your energy bills, especially in harsh winter weather and during the hot summer months. Drafty doors also aren’t good for the environment because they cause homeowners to use up more energy than they should. They can also be uncomfortable for anyone sitting by them who feels the draft. It’s important to remember that even a small gap the size of an eighth of an inch will result in a lot of cold air getting in or escaping. Fortunately, there are some quick ways to fix them depending on the problem, so read on to find out which technique will help you the best. 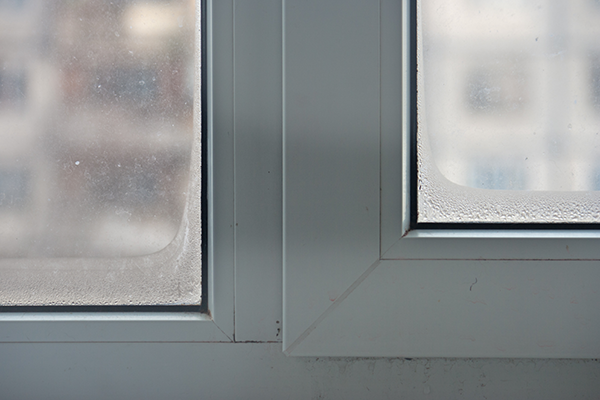 If your door had any weatherstripping (and it may not have), it can develop a draft over time from basic use. The weatherstripping may also have been bent or torn accidentally. Another possibility is that the part that goes along the bottom of the door, or the sweep, has become disconnected. Another possibility is that, if you have a wood door, the wood has become warped over time or due to temperature changes. 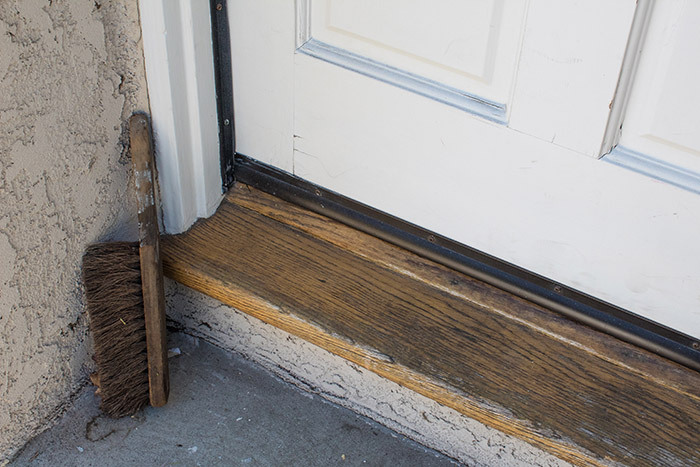 If you need to fix the weather-resistance mechanisms on the door, you’ll need to fix the parts that line the sides of the door and the sweep at the bottom. While the material you can use to add the weatherstripping may vary, one excellent option is tubular silicon that would go against the doorstop and a twin-fin silicon sweep. The reason that silicon makes such an ideal sweep is that it’ll not change shape or change in response to temperature fluctuations like other materials. Silicon is also soft and durable, meaning it’ll last a while. You’ll want to take measurements of the side and head jambs when the door is closed so that you can get a weatherproofing strip that is big enough to fill the largest gap. Be sure there are no nails sticking out of any surfaces by running a paint scraper along there. Then place the V-shaped base of the grooving tool into the corner of the stop and the jamb. With the bit turned up, go all the way up with the groover to the head jamb. Then re-do it with the bit turned down. You’ll want to repeat this on the other side of the jamb as well as the head jamb. Next, you have two options. 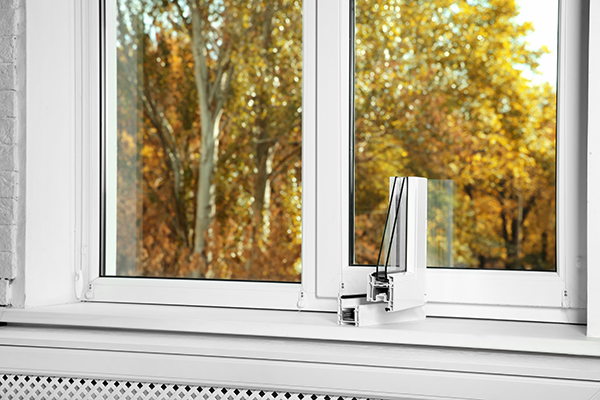 You can measure the weatherstripping and cut it to the appropriate length before pushing it in. The other is to take the tube and place the barbed tongue into the one end of the slot. Be sure to not stretch it as you do it. Then cut it to length. Using a spline roller, drive the weatherstripping into the slot. To continue, work on the bottom of the door next. You’ll want to mark a 5/8” wide dado on the bottom of the door. It’s best to put the door on sawhorses first before doing so. Place the router and move it from left to right, and then move it from right to left. You want to be sure to make enough passes to reach a depth of 1-1/8″. Apply primer and paint to the wood in the dado, and after, cut the channels of the sweep close enough to the width of the door that you only leave 1/8″ of room. Place a channel into the dado and screw it in after centering it from one end to the other end. Put the sweep into the channel and then put the glides into it the dado’s channel before rehanging the door. You’ll want to hang the door before installing the sweep so as to keep it intact. Change the glides so that you cannot see any light when the door is shut. Put plastic caps into each of the channels to seal them. Then place them on the jamb bottoms. If the above method seems too complicated, there are other options that you can go for in order to fix your drafty door. A door snake looks like a beanbag that horizontally lies across the floor to block the bottom of the door. You can buy one, or you can even make your own using upholstery fabric. To make your own door snake, you’ll first want to measure the area under the door that needs to be blocked, adding a bit of room to the fabric in case you make a mistake and to compensate for the sewing. Using a needle or a sewing machine, straight-stitch down the long way of the fabric to close off one end. Do the same on the other long side, and then close off the short-end leaving one side open. You’ll then fill the bag with rice or sand to make it thick and firm enough to close off the bottom of the door. You don’t want to use too much rice that it bursts, but you need to use enough to make it block off the draft. After filling the snake, sew the end back up to match the other side. If you want to get fancy, you can add a decorative stitch to both ends. If you want your door snake to match your house and door, go for a simple striped fabric or even an off-white. If you have an old, worn out door, the best option might be to replace the whole thing. Fixing the weatherstripping or sweep will only put a bandaid on the problem. Plus, if you have an old wood door that’s warped, there’s no saving it. Also, when you get a replacement door, it’ll be custom made to fit the opening perfectly so that there are no leaks. For Green Bay homeowners, the best options are either steel or fiberglass doors because they’re weather-resistant and can withstand anything thrown their way. Time Money magazine considers that 45% of our energy bills goes towards heating. With that thought in mind, fixing a door that has a draft is of the utmost importance if you want to save money. 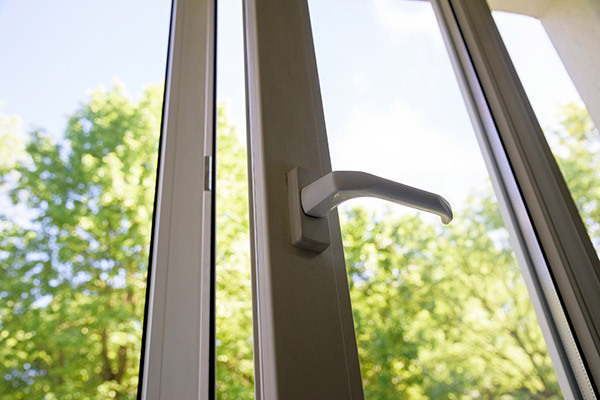 A door may develop a draft from becoming warped over time due to temperature changes. 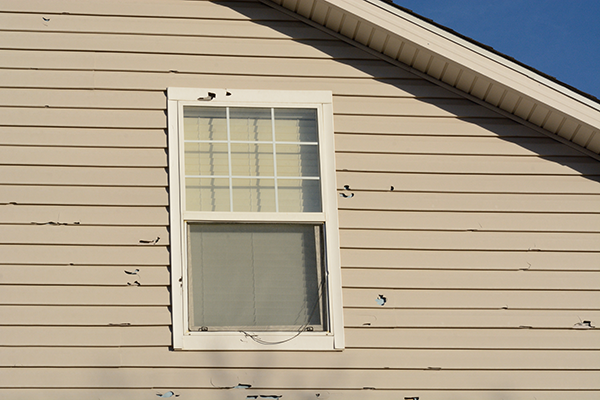 Another possibility is that the weatherstripping may have come off or been damaged. If this is the case, you may want to try to fix it, but be prepared that you’ll need some tools that some people may not have around their house. Another more simpler option is to get a door snake. If you like to sew, you can always make one rather than buying one. Either way, fixing a drafty door is a necessity to save energy and money and to keep comfortable in your home. However, the best and true solution to a drafty door is to replace it with a new one. If you find yourself in this situation, you can trust Feldco for all your door replacement needs. We’ve been serving homeowners since 1976 and would love to help you with your next project – get a free quote now.